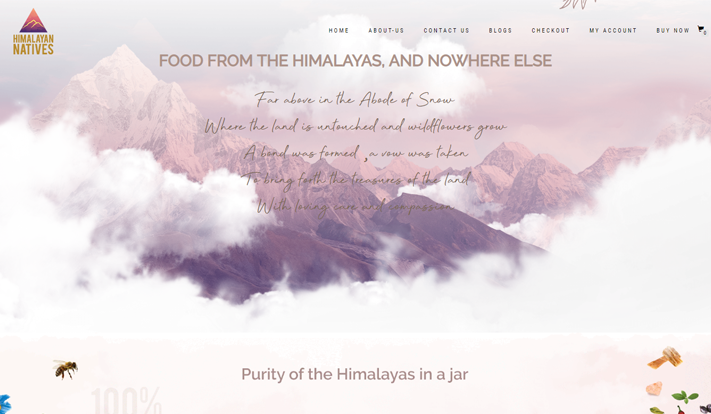 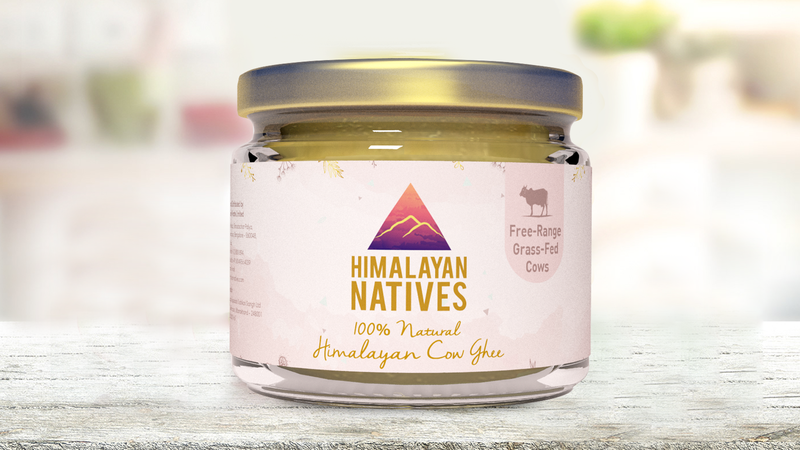 Himalayan Natives is a newly launched organic food brand with the vision to bring 100% natural and wholesome food, sourced from the Himalayas, to all. 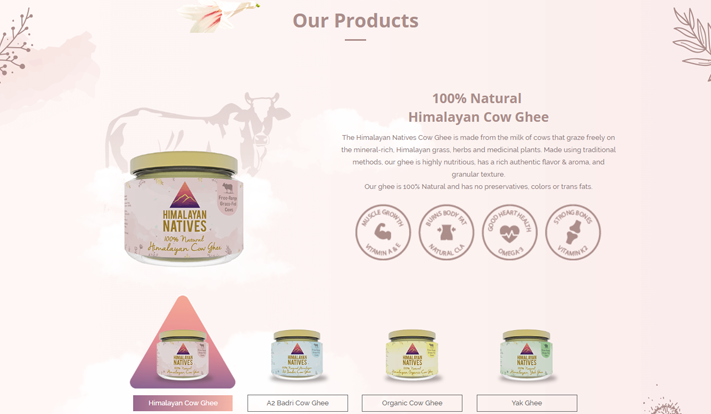 It offers a range of organic cow and yak ghee products that are nutritious, rich in flavour and aroma, and contain no added colours or preservatives. 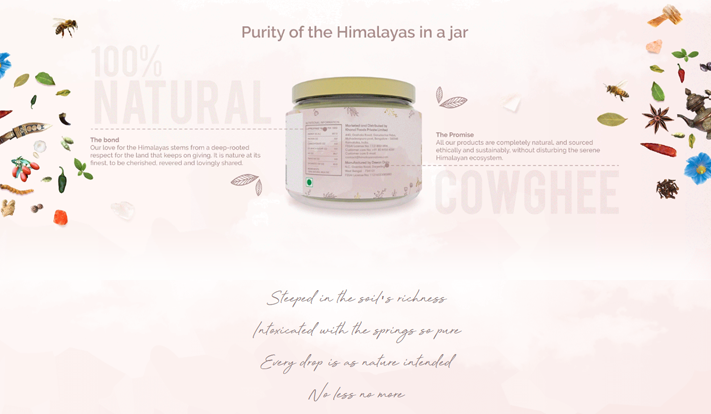 Our brief for Himalayan Natives was to come up with packaging that brought out the distinctive nature of the products – pure, natural and premium, with emphasis on the products’ Himalayan origins. 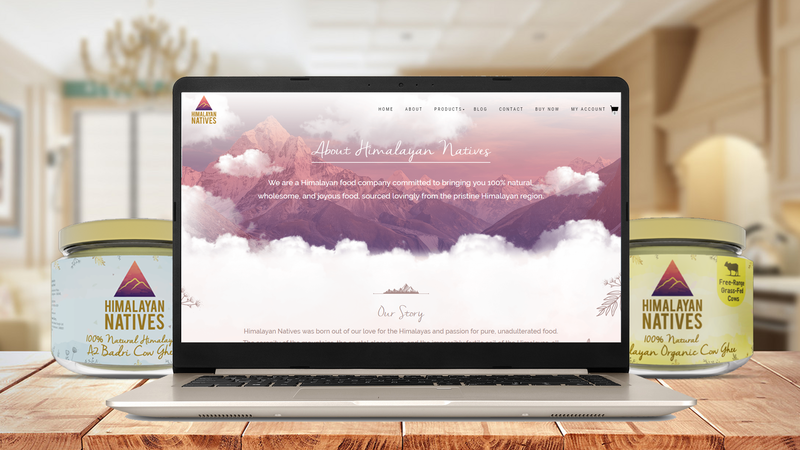 We came up with a beautiful and expressive design that not only achieves this, but also stands out from the competition through the use of a soothing color palette, and sophisticated fonts and motifs. 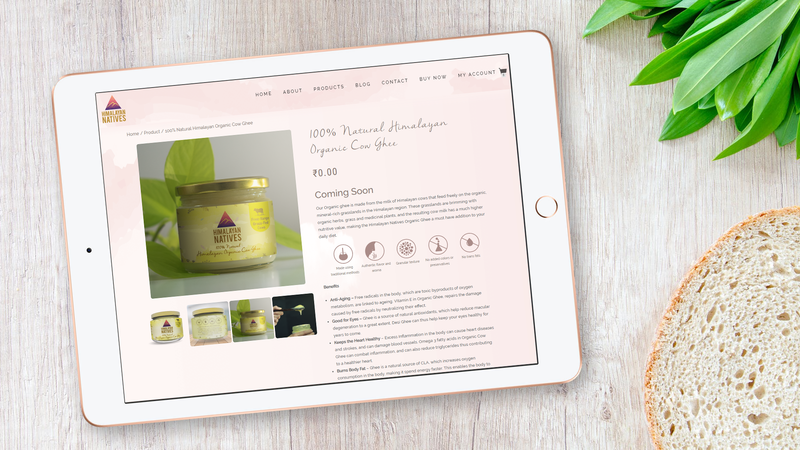 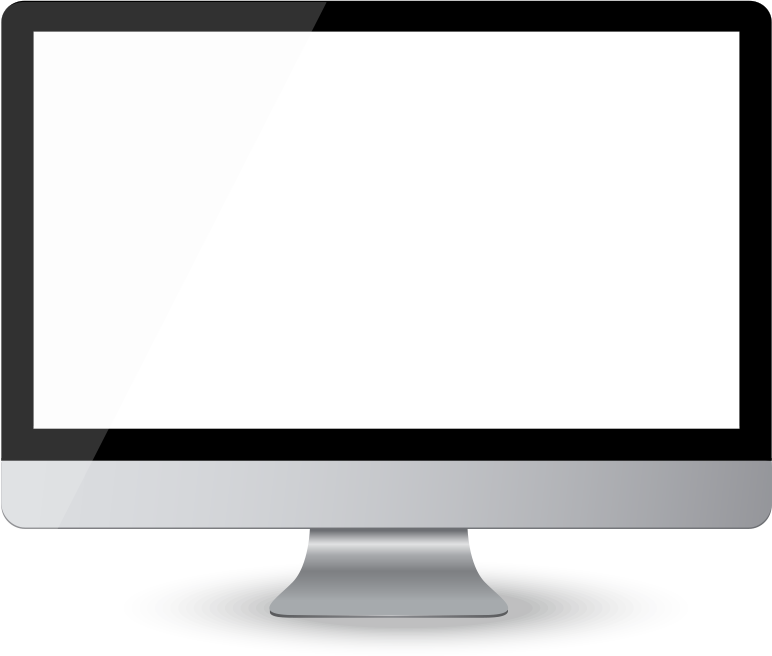 With limited space to play with, we were able to achieve clear and bold branding, with the USP of the brand cleverly highlighted through a drop down. 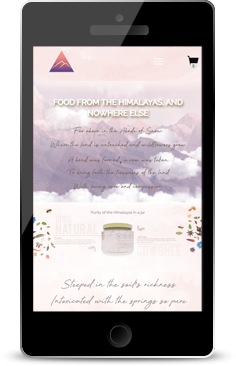 To sum it up, we presented our client with packaging that is not only eye-catching, but also speaks to the customer, invoking feelings of trust and making them reach out for the product.